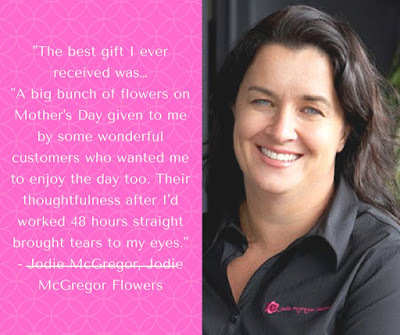 "A big bunch of flowers on Mother's Day given to me by some wonderful customers who wanted me to enjoy the day too. Their thoughtfulness after I'd worked 48 hours straight brought tears to my eyes." "A pre-booked massage and facial. Gift vouchers are great but when it's pre-booked you're not running around like crazy trying to use a voucher just before it expires." 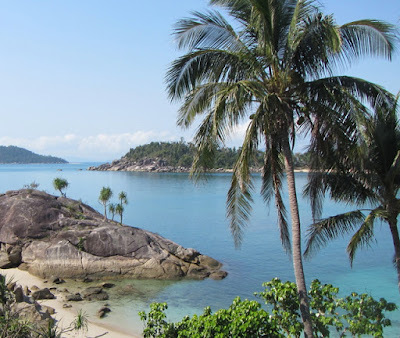 "One that I got to share - a holiday to Bedarra Island with my husband and three kids. Gorgeous sunsets, crystal clear water and.......no shops or mobile reception!" "My husband as he has no filter and says exactly what he thinks of any present I buy him. I guess I can't complain that he's not honest........."
"A magazine subscription. It's quick and easy and the recipient gets to enjoy a nice surprise all year round." "Think beyond roses at Valentine's Day. Supply and demand issues push the prices of roses up but not other flowers." Fabulous suggestions Jodie, I especially love the "pre-booked massage", I am one of those busting my boiler trying to use the voucher before it expires, pre-booked it will be made to happen. Fabulous suggestions Jodie, I especially love the 'prebooked massage', I am one who rushes like a madwoman at the last moment to use a voucher before it expires, having a booked date makes it happen.